Hidden problems are every car buyer’s worst nightmare. Imagine spending years saving up to buying a new car, months researching to find the right model for yourself and then weeks looking for the best deal. Only to find out that there are multiple issues with it after driving it for a while . Of course, not all nightmares come true. But two controversial studies suggest that the dangers of hidden problems in used cars are real. And if you’re really unlucky, you could pay dearly for it. In this article, we take a look at these studies and hidden problems in general. We’ll also present some of the best strategies towards avoiding unwanted surprises. The first of the two studies was conducted in 2015. It found that 43.2% of cars were flagged with one or multiple issues on car history site My Car Check. 28.5% of those searches indicated a serious issue – a category we’ll explain in more depth later. These numbers are scaring. But how real is the danger of hidden problems, really? In our opinion, both these studies are actually anything but convincing. But before we can answer the question in more depth, we need to take a look at definitions first. How hidden are hidden problems? When we talk about ‘hidden problems’, what, exactly, do we mean by that? Maybe we can begin by explaining what this term does not mean. Hidden problems typically do not refer to issues with the quality and condition of the vehicle. An oil leak is not a hidden problem, because you can actually spot that by taking a close look at the car. A broken serpentine belt is not a hidden problem, either, because an expert friend or mechanic will spot it on an inspection or test drive. When we speak about hidden problems with used cars, what we really mean are issues that you can only uncover by looking at the history of the car. These are issues which you can not detect by eye. You’ll need to do some serious research to find out about them – on websites like My Car Check or using the RAC’s Vehicle History Check. What are some of the most common hidden problems? One or previous owners have changed the number plate. The car still has outstanding debt. The car is an insurance write-off. It is an import/export vehicle. The colour of the car is no longer the same as when it was new. The car has been reported as stolen. The car has failed one or several previous MOTs. 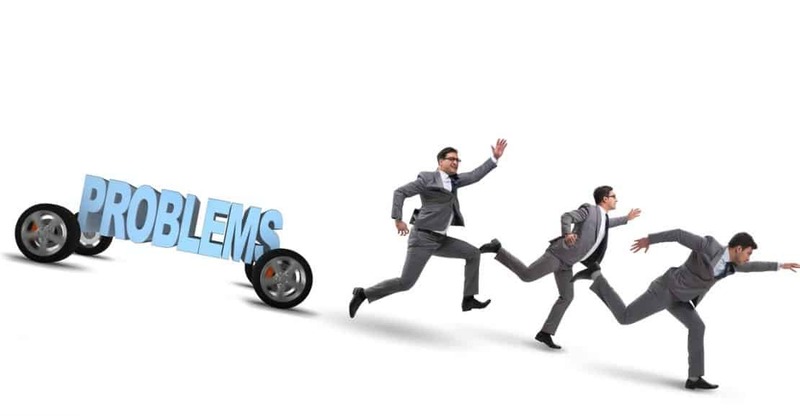 Some hidden problems can indeed be highly problematic. Most, however, are in no way a reason not to buy the car. So, clearly, the level of seriousness of these problems varies wildly. Let’s now take a closer look at this. The mere fact that the car has failed an MOT in the past in itself is not worth writing home about. For starters, an MOT is not even a real vehicle inspection. All it is, is a test to check the road worthiness of the car. Every car that meets the standards set by the government can use UK roads. This doesn’t mean it can’t potentially break down on your way home from the MOT. Some of the reasons of why most people fail their MOT include too much garbage in the front of the car. MOT failures are an interesting piece of information, however. Over time, they will tell you quite a lot about the way a previous owner treated her car. Also, if some issues keep returning, they do point to certain weak spots. You can access a car’s MOT record for free. Simply enter its license plate on the website of the DVLA. We live in the age of customisation. This means: We want our mobile phones to be green, yellow, red or purple, our headphones to come in all the colours of the rainbow. We demand food to be gluten-free, lactose-free and low in fructose, we want to be able to choose how many carbs, fats and proteins it contains. So it should seem only natural that some drivers would like to change up the colour of their car as well. If it doesn’t happen quite as often as you’d expect, then that’s because it’s pretty expensive. But in itself, there is nothing suspicious about the act of giving your car a makeover. The same goes for a change in number plate. In fact, some people do this routinely, as an act of initiation and to mark the car as theirs. Yes, thieves will also repaint cars and give them new license plates as part of their operations. But that hardly means that a paintjob automatically suggests a potentially stolen vehicle – even though that is, admittedly, a possibility. We don’t just live in the age of customisation. We also live on a globalised planet. And so, some models are manufactured here in the UK, but really destined for abroad. Or, a car could get imported to the UK from a different country. These things are perfectly normal. They only become an issue when a car that’s supposed to be exported to, say, India, is sold to a UK customer instead. The reason why it’s an issue is that it may not conform to UK road standards. In other words: You may not be allowed to drive it here. Import/export cars are definitely a potential source of trouble. But they are extremely rare. The UK is no longer a major exporter of cars and its role is only going to decrease after the Brexit. And although most of our cars are imported, they will naturally conform to our standards. All in all, this does not seem like an issue you need to worry about. An insurance write-off certainly sounds like a very hideous hidden problem. In reality, it is far less serious than you might think. A write-off occurs if a car gets caught up in an accident and the repair costs exceed its value. It is a purely technical term and does not mean that you can no longer drive the car in question. In fact, many owners simply take the money and continue driving it! With a used car, too, an insurance write-off can actually be a great bargain. If done by a respectable mechanic, repairs can get them back to normal and they can potentially be driven for a few more years. The only real danger is for scrupulous mechanics patching together a write-off with cheap parts and then selling it at a regular price. This is admittedly a real issue, but not a hidden one. 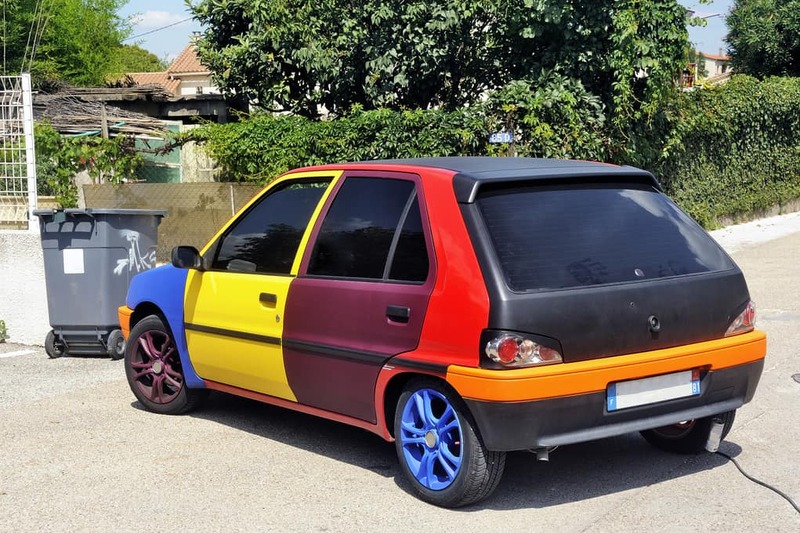 An expert will recognise such a patchwork car instantly. And as we’ve pointed out previously on this blog, you should probably never go check out a car all by yourself anyway. There are only two instances where a hidden problem can turn into a serious concern. If a car has been stolen or if it’s not entirely paid off yet, you are not the legal owner of the car. If the previous owner manages to track you down (or, which is more likely, if the police do), they can demand you return the car to them. Likewise in case of a car that’s not been paid off yet. In such a case, you will need to take responsibility for the debts of the previous owner. In some cases, this may mean a few thousand Pounds on top of what you already paid. 17.6% of the cars had outstanding finance, that is roughly one in six. 0.2% of cars were stolen. Which translates to a ratio of 1 in 500. These numbers are already not particularly exciting as they are. But you need to put them in perspective as well. First of all, the study conducted by two car check services, which have an obvious interest in convincing people of the dangers of hidden problems with used cars. The data was also culled from a questionable data set. The percentages do not represent the total amount of cars with outstanding finance, but only those which were flagged after a paid search on the respective sites. Without further information, this doesn’t tell us a whole lot about what the situation would look like for the car market as a whole. So, are vehicle history checks superfluous? Not at all! We strongly recommend them, in fact. When you’re buying a car, you’re investing a lot of money. So you want to be on the safe side. Vehicle history checks are not very expensive and they can give you peace of mind. Just don’t be surprised if these checks don’t actually reveal any hidden problems. Looking into the mysterious past of a car can yield some dark secrets. Most of the time, however, it will just tell you everything’s perfectly alright.